CONTEST: The home that built me — tell us your story! A house is the foundation stone upon which human development occurs. We want to know about the house that shaped you into the person you are today. Whether it’s memories of family dinners at the dining room table or chats on the front porch, we want to know what you remember about the place you think of most as “home.” It can be a childhood home, grandma’s house or even where you live today. We know there is one house that must stand out in your mind as the place where you became YOU. “THE HOME THAT BUILT ME” CONTEST RULES: Entries will be accepted through this online form below through the deadline of August 14, 2016. The Fuller Center’s communications department will select five finalists from the entries, and the general public will vote online August 22-31, 2016, to select their favorite story. Results of the voting will be announced September 1, 2016. 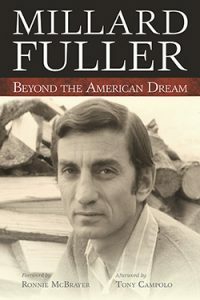 All five finalists will receive a free copy (signed by Linda Fuller) of Millard Fuller’s first book, “Beyond the American Dream,” his autobiographical reflection on his own formative years and the journey from entrepreneurial child to millionaire businessman to the Christian servant who gave all his riches away and dedicated his life to helping families around the world have simple, decent places to live. Fuller Center staff members and their immediate families are ineligible for prizes but are encouraged to share their stories, as well. Note: By submitting your story, you are giving The Fuller Center permission to share your piece with the general public online and in print materials. Would you like to share a photo of the home?